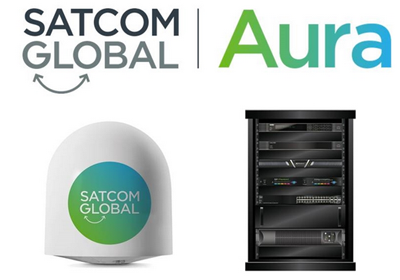 Aura from Satcom Global has just launched — this is a global VSAT solution that, according to the company, offers high quality, high bandwidth connectivity across a variety of customizable packages. Aura is already live on a wide variety of vessels and fixed remote locations around the world following a successful trial period. The offering is focused on providing flexible communications at sea and on land across the globe. Available in bespoke packages with high bandwidth speeds, as well as with multiple hardware and L-band backup options, Satcom Global Aura combines easy setup and an uncomplicated installation with a low cost of ownership to ensure customers are never faced with unexpected costs. As the need for high-speed real-time data communication grows, Aura is equally scalable, with the variety of packages catering for all communication requirements via a simple price plan structure. Satcom Global also provides hardware rental plans for customers who would prefer to spread their costs over the duration of the contract, rather than buy equipment outright. With logistics being a key challenge with VSAT services, the Aura installation process has been designed to be as pain free as possible for customers, no matter where they are in the world. Leveraging strategic partnerships with select equipment manufacturers, Satcom Global holds dedicated stock in key locations for the delivery of Aura, enabling quick deployment to wherever your vessel or location may be in the world. Additionally, Aura features clear tiered pricing options for installations with no hidden costs, and the entire end-to-end installation process will be managed by Satcom Global’s dedicated in-house engineering and implementation teams. Customers will also benefit from an industry leading customer support process which is provided on a 24x7 basis from our dedicated and knowledgeable Network Operations Centre in the UK. With offices based across Asia, the Americas, EMEA and Oceania, the 200 strong multi-lingual Satcom Global team work with an extensive global network of valued dealers and partners to fulfill this commitment. According to the CEO of Satcom Global, Ian Robinson, building and managing this global Ku-band network gives the firm the flexibility and capacity to deliver a customizable solution, which will continually evolve to meet the needs of customers.